The Scandinavian Human Dignity Award is presented annually by the Scandinavian Human Rights Lawyers & Committee, to a person or an organization which has made a special contribution to human rights, all of which derive from the inherent dignity of the human person and are essential for her free and full development. The Scandinavian Human Rights Committee has decided to dedicate the Scandinavian Human Dignity Award 2018 to the International Justice Mission (IJM) for their work to combat human trafficking and to promote human rights globally. International Justice Mission, the largest international anti-slavery organisation in the world, works to defend justice and protect the oppressed. IJM gives a voice to thousands of voiceless victims of slavery around the globe, but their actions speak louder than their words. The unique mission of the organization, to offer legal services to the poor and exploited, combined with strong efforts to promote law enforcement, has resulted in the rescue of more than 45,000 people from slavery and other forms of violence and helped local authorities to arrest more than 3,500 suspected slave owners and other criminals.The great team of IJM lawyers, criminal investigators, social workers and advocates has become a global force to protect and defend human rights and human dignity globally – and they are truly worthy winners of this year’s prize,” says Ruth Nordstrom, Chief Lawyer, Scandinavian Human Rights Lawyers and Chairman of the Scandinavian Human Rights Committee. 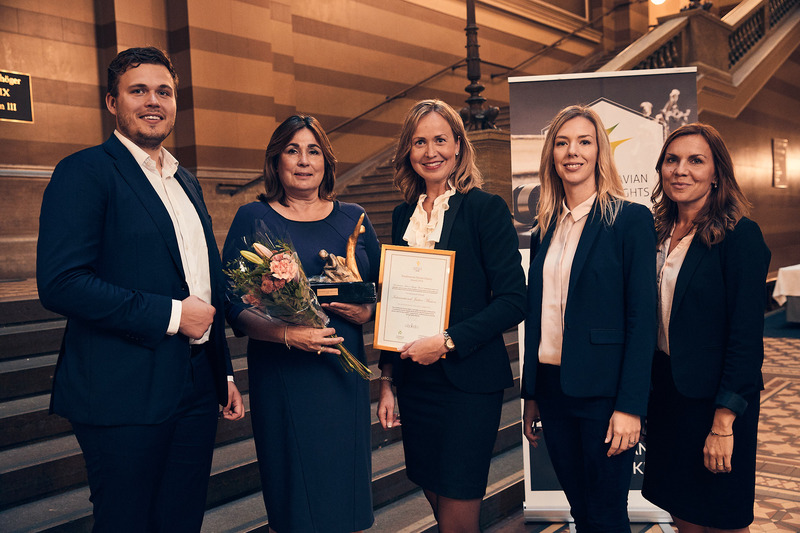 The Award Ceremony took place at an EU seminar at Uppsala University, September 11. Anita Delhaas, Director of IJM, Netherlands, received the award on behalf of the global IJM organization.